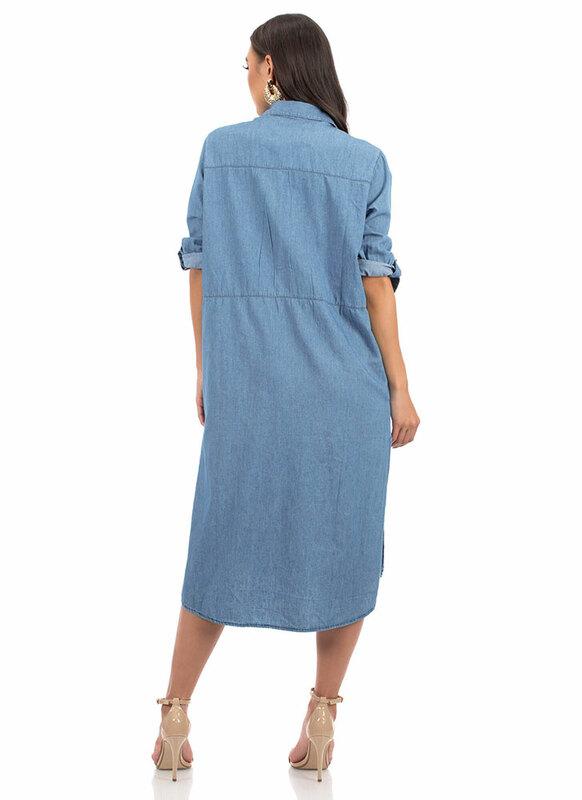 We like our dresses how we like our relationships -- totally casual. 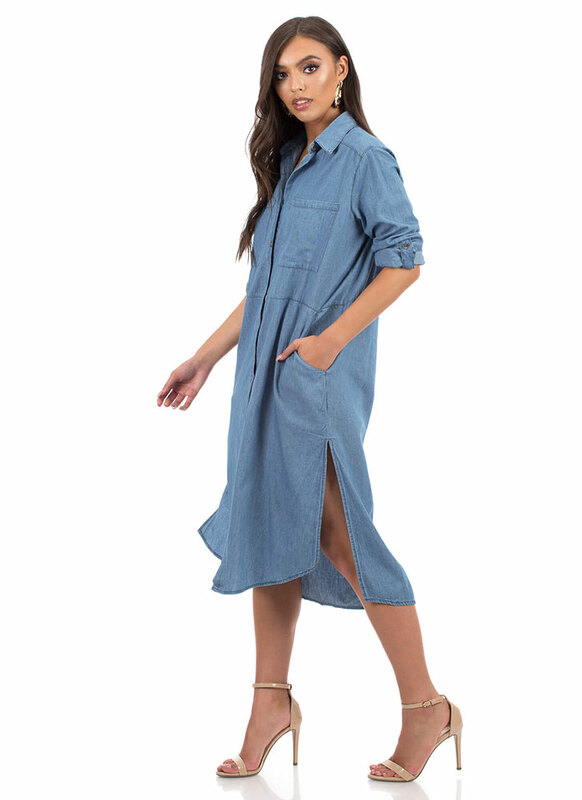 Collared denim chambray shirt dress features a shift silhouette with a button-up front, long sleeves that can be rolled up and secured with button tabs, and a rounded hem with double side slits. 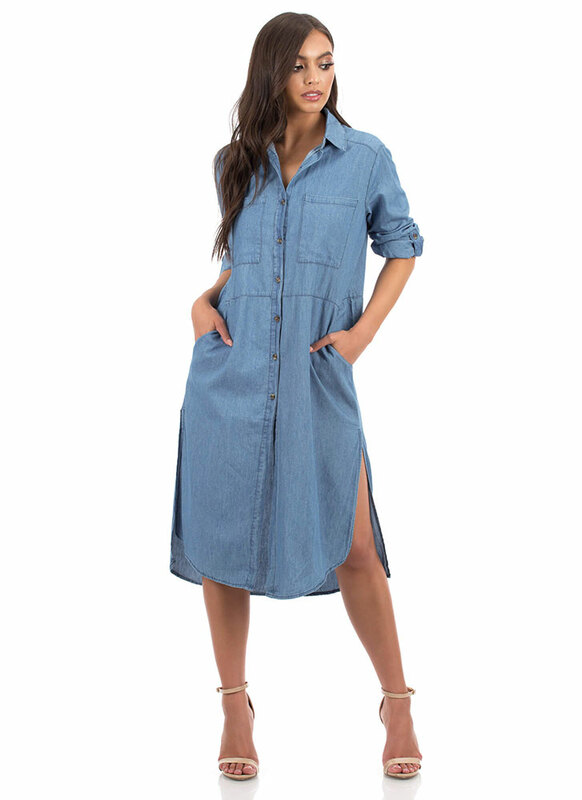 Dress is finished with oversized breast pockets and open hip pockets. Length: High: 43", Low: 46.5"